Simple curiosity and the pioneering spirit are driving the growth in hypergridding, despite technical challenges. According to data from The Hypergates, the total number of travelers using their teleport gate system has more than tripled from 133 a month in May of 2009 to 471 last month – and these numbers do not include people who hypergrid teleport by using other gate systems, by typing hypergrid addresses directly, or by creating their own gates. 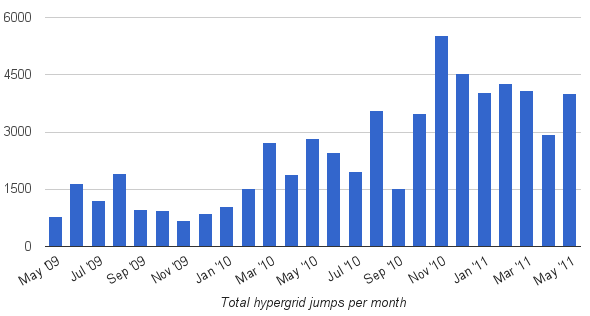 Meanwhile, the total number of jumps performed has grown from 795 in May of 2009 to 4,018 last month – a five-fold increase, a sign that not only are more people using The Hypergates network, but they are also using it more frequently. 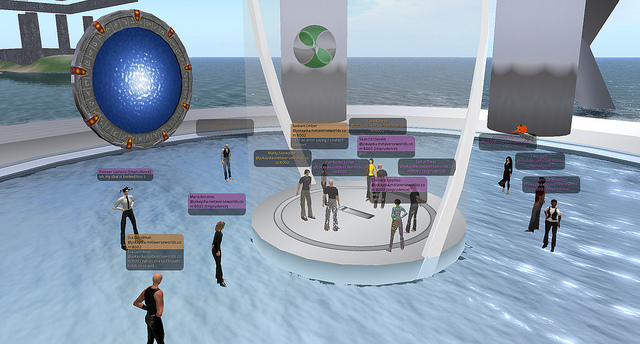 For many OpenSim users, the hypergrid is a new frontier both of exploration, and of technology. Bainbridge – who is also known as “Apollo Manga” – covers Second Life for Examiner.com and is the editor at Avatar Planet. 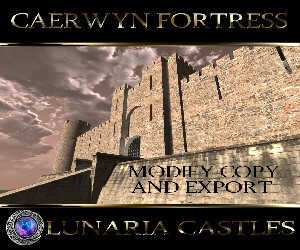 The Hypergrid Adventurers Club was founded by John Lester, director of community development at ReactionGrid. Lester — also known as “Pathfinder Lester” — was formerly lead evangelist at Second Life. 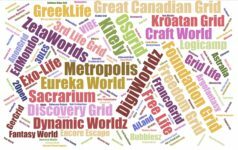 The Club has conducted more than 40 different hypergrid trips since last October, visiting such destinations as a virtual recreation of Pic du Midi de Bigorre astronomical observatory on NewWorldGrid, FrancoGrid‘s China Town, and the the 1939 New York World’s Fair on ReactionGrid. 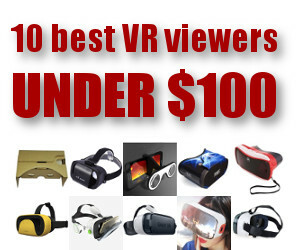 The virtual worlds are the new frontier of civilization, but there is one big difference though between being a pioneer today and being a pioneer during the days of the American frontier, said Bainbridge. Today’s pioneers don’t have to make the choice. 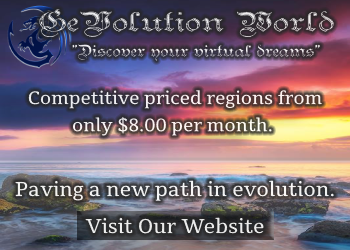 “With the click of a mouse, we can switch from exploring the wild frontier of alpha virtual world software to the stability and established civilization of Second Life,” he said. Bainbridge isn’t the only one who sees the hypergrid as a frontier. John Lester's hypergate, located on the Pathlandia region of JokaydiaGrid, is also known as a "blamgate" because it immediately teleports anyone who walks through it. Other hypergrid travelers are driven by their sense of curiosity to find out what’s happening on other grids. That includes meeting people who live there, said Peter Miller, a microbiologist at the University of Liverpool, also known as “Graham Mills” in Second Life. For example, the Hypergrid Adventurers Club has visited social events on the New World Grid and music events on FrancoGrid, including a performance of the Rennes opera. Organizations like the Hypergrid Adventurers Club are critical to raise awareness of the existence of other grids, he said. “Beyond that there is a major need for resource discovery that goes beyond the fortuitous, not least in the education community,” he added. 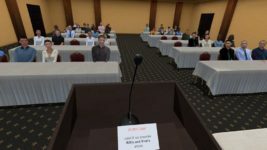 For another view of an educator’s pespective on OpenSim, check out Miller’s recent slide presentation, which includes images from a number of grids accessible via hypergrid teleport. Miller is not alone in appreciating what the hypergrid has to offer. 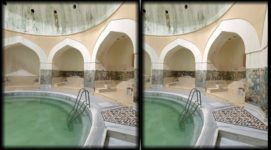 “It’s so much more creative and full of possibility when you’re crossing boundaries,” said Jonathon Richter, director of the Center for Learning in Virtual Environments at the University of Oregon. According to Richter, hypergridders are risk tolerant because they’re motivated to explore. “Why would any sane individual choose to sit on top of a Saturn 5 rocket on a launchpad, or venture into uncharted waters beyond the edges of mapped realms?” asked fellow hypergrid traveler Matt Poole, director of online education at Virginia’s National College. But it is the explorers who push back the boundaries of what is known, he added. “As an early adopter, I take personal enjoyment out of discovery and exploration,” confirmed James Lloyd, president of e-learning consulting firm Lloud LLC. But Lloyd – who is also known as “Lloud Laffer” in-world – said that he’s also interested in exploring the fact that OpenSim grids are based on open source technology. But hypergrid travel doesn’t come without its challenges – hypergrid teleports fail when the destination is too far away, or uses a different version of OpenSim, or is not hypergrid-enabled, viewers are not designed for hypergrid travel, and occasionally inventory items fail to make the journey between grids. Some of these problems could be addressed if there was a group or committee working to ensure that virtual worlds viewers met a set of standards for connecting to the hypergrid, Lloyd told Hypergrid Business. 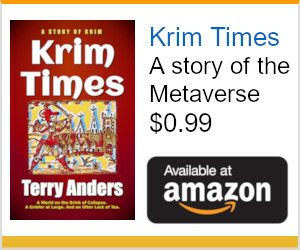 Until then, hypergrid travelers routinely face hiccups on their journeys. To do a hypergrid jump from one OpenSim grid to another, start on a hypergrid-enabled grid such as OSGrid or ReactionGrid. Then choose a destination that’s close enough for a jump, and running on the same version of OpenSim. From ReactionGrid, for example, people often go to JokaydiaGrid, which focuses on education. 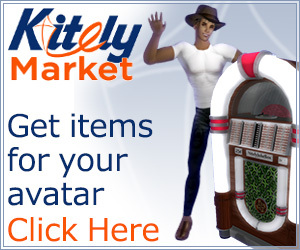 Start on a hypergrid-enabled region like “Core1” or “HG Gateway 1” then hit CTRL-M to bring up the map and paste your destination address – “jokaydia.metaverseworlds.com:9000:scooter” (no quotation marks) into the search field. Hit Search, then Teleport. Once you’re done checking out the freebie store on Scooter, visit John Lester’s “Pathlandia region”, also on JokaydiaGrid, by local teleport, home of the Hypergrid Adventurers Club. OSGrid residents have a larger choice of destinations because the grid is running on the latest version of OpenSim. 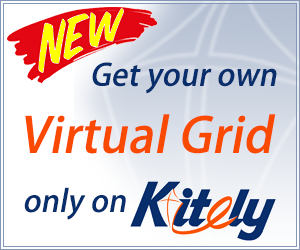 Start on any region – the entire grid is hypergrid-enabled, and go to GermanGrid at “login.germangrid.de:8002” or MetaverseSailing at “metaversesailing.com:9000”. You can also hypergrid teleport by using a hypergate. 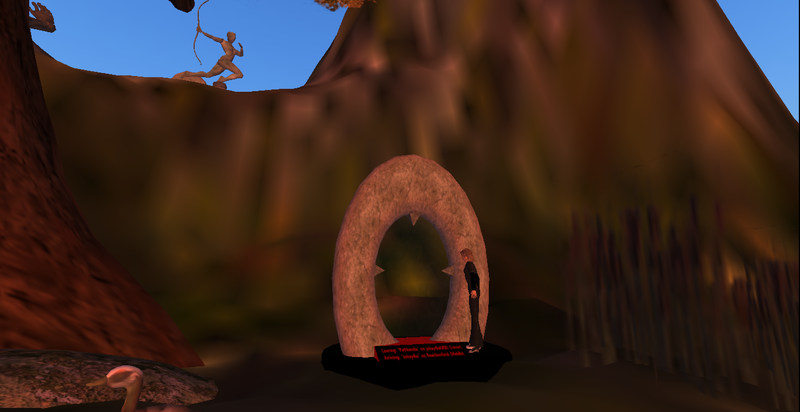 A list of OSGrid regions with a hypergate from The Hypergates network is here. More information on how to hypergrid teleport is here.